There are ten limited edition Vita Calendars to be won. 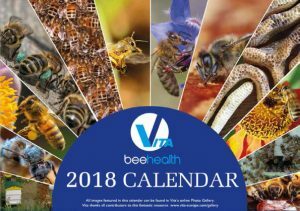 Follow Vita Bee Health on Twitter or Facebook, see if you can answer a simple question and be entered into a draw – every day this week. The Calendar, packed with great photos from the Vita Photo Competition, is a must-have for any desk! 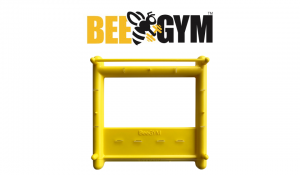 Have you ever wondered about the effectiveness of the Bee Gym, the chemical-free physical grooming aid for bees? Here is a photo of a varroa screen taken by Jim and Rachel of The Metropolitan University Green Team. 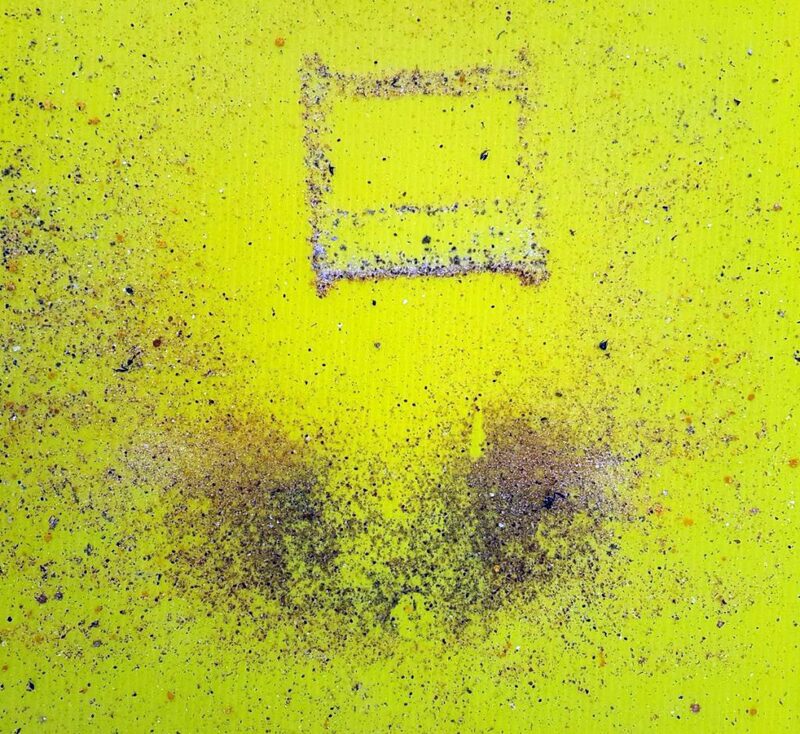 It’s easy to guess the shape of the Bee Gym that was sitting on the floor of the hive above the screenfloor. Obviously the bees are attracted to their workout equipment. 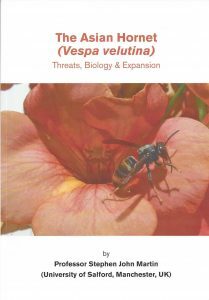 The Asian Hornet (Vespa velutina) by Prof Stephen John Martin has just been published by IBRA. 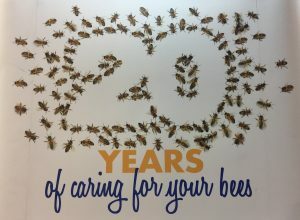 It’s a fascinating and highly readable account of the arrival, life cycle and control methods of the latest scourge of honey bees in western Europe. Beekeepers will of course wonder if there might be a natural predator of the Asian hornet that already exists in Europe or might be introduced to combat the pest. I’m afraid it seems to be down to us – humans! Even in its native habitat, hornets have precious few predators. Their size, numbers and of course stings see off most of their potential enemies. Even bears aren’t that interested. At just more than 100 pages, with lots of photographs and diagrams, every beekeeper will probably enjoy this book – in a reluctant sort of way! 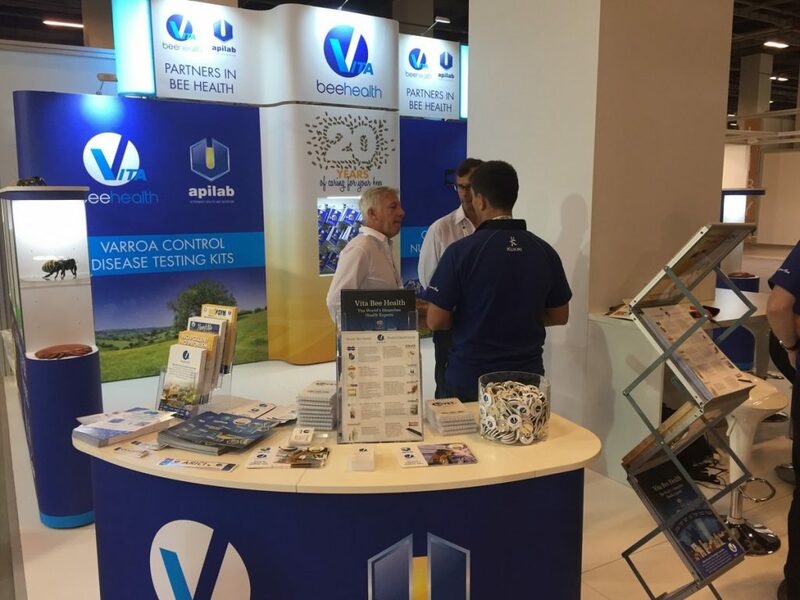 Vita is celebrating its twentieth birthday in style at Apimondia 2017 in Istanbul, Turkey. 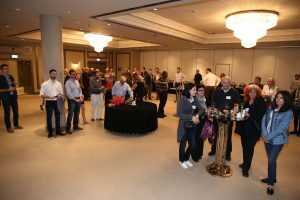 The global impact of Vita’s contribution to the health of honey bees was indicated by the countries of the different distributors present: Albania, Argentina, Bulgaria, Costa Rica, Denmark, Dominican Republic, Greece, Iran, Ireland, Kenya, Libya, Lithuania, Netherlands, Philippines, Portugal, Russia, Tunisia, Turkey and the UK. Max Watkins and Jeremy Owen entertained the gathering with tales from Vita’s past and introduced the new name – Vita Bee Health – and the new logo. 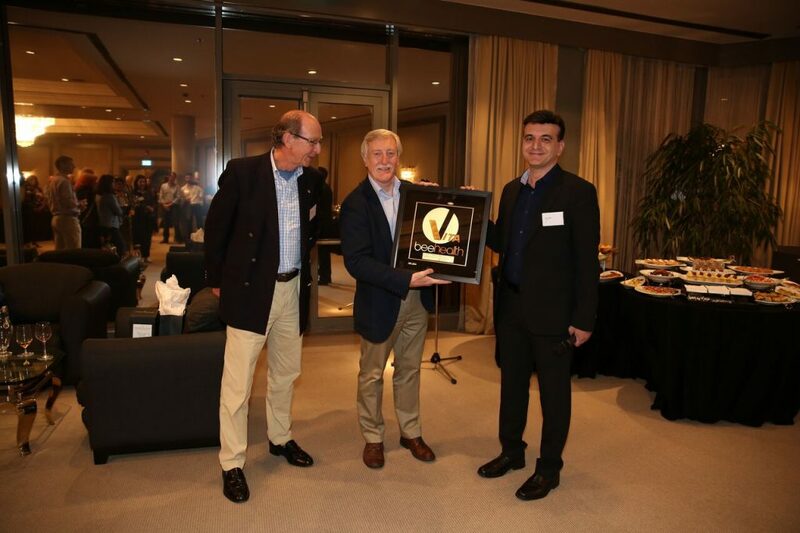 Korpa in Iran presented Vita with a stunning 24-carat gold version of the new logo. On behalf of Vita staff, Sebastian Owen presented Jeremy and Max, Vita’s founders, with engraved Dartington Crystal glass carafes to commemorate the pair’s commitment and endeavour over the 20 years. 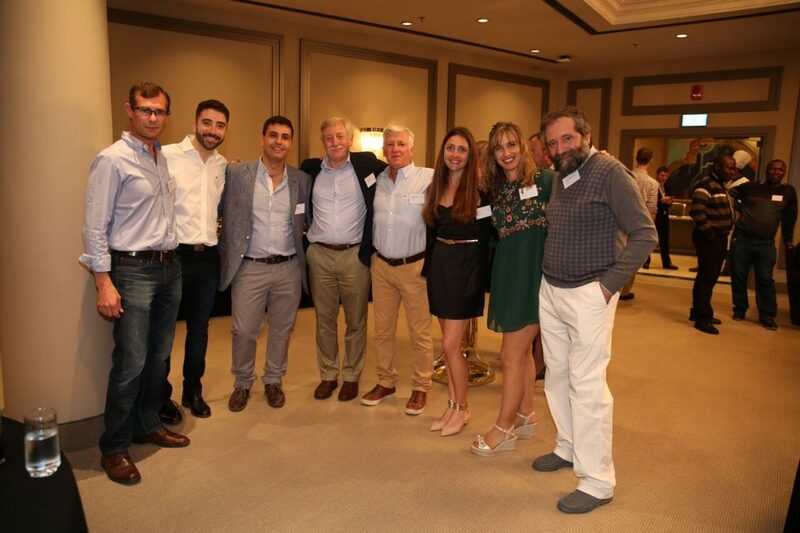 And of course there was lots of useful discussion amongst the distributors, friends, colleagues and special guest, President of Apimondia, Philip McCabe.